I don't know if many of you have been to your local Target stores lately, but if you haven't...make it a priority! 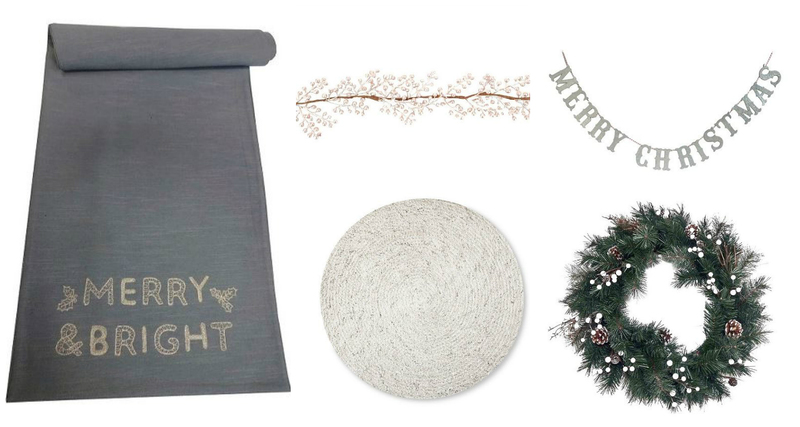 Their new holiday home decor line is out - and it is amazing. As if there wasn't enough to spend my money on in this store already, they went and stepped up their game AGAIN! I went in the other night to scan the Christmas decor that is typically in the back corner of the store (you know, in the Seasonal area?). Well, there wasn't much there that I was interested in, and it bummed me out, so I made my way back to the front of the store to check out. I picked out the mirror tray and large basket. There were so many other items that caught my eye, and Target online is running a promotion right now...Buy 2 save 10%, Buy 3 save 15% on Holiday Items, and free shipping...so I'll be ordering a few more things today! Oh so jealous, your selection looks a lot bigger than the ones I've seen, but I looove everything so far this year too and ordered a few things online.. The mirror tray looks so pretty! Oh. My. Goodness. I want one of everything!!!!!! Target knocks it out of the park again. I'm going to be in trouble when I go this weekend because now I want ALL THE THINGS!!! oh my gosh i need ALL the things. that runner is gorgeous!